Georg Jensen represents quality craftsmanship and timeless aesthetic design. They produce lifestyle products ranging from hollowware to watches, jewellery and home products. Georg Jensen‘s philosophy is to create democratic designs possessing both functionality and beauty, embracing the Art Nouveau style but with a distinctive vigour. The Georg Jensen most important task is to leverage the ideas and principles of the master himself and translate these into the design of the present day. 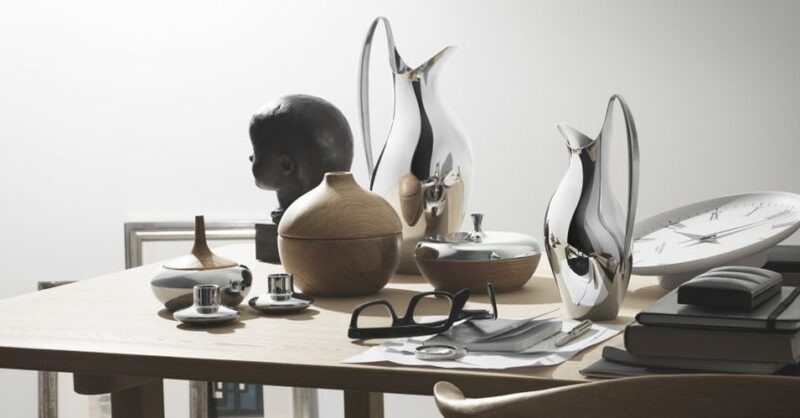 The complete Georg Jensen‘s collection is available at our London showroom based in King’s Road Chelsea.